’tis the season to be Oscar. Asim and Martin take aim and set their sights on Clint Eastwood’s latest target, American Sniper. The most successful war movie of all time has taken America by storm, smashing box office records left, right and centre. And of course yet more potential Oscar glory for its esteemed director. Released this week in the UK, it remains to be seen if it can repeat its performance overseas. 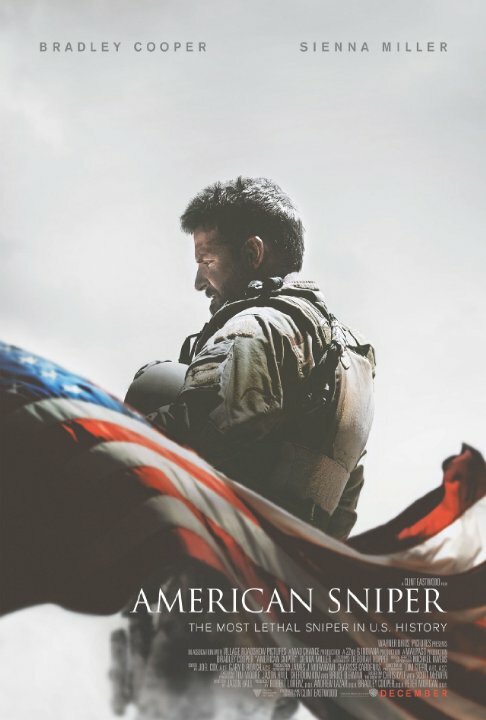 Starring Bradley Cooper – looking super-manly with beard and huge muscles – and a barely recognisable Sienna Miller, American Sniper is based on the autobiography of Chris Kyle a US Navy SEAL who served multiple tours of duty in Iraq. Taking to life in the armed forces like a duck to water, it’s the hum drum of everyday family life that asks the most difficult questions of our leading man. This movie probably works best if you’re completely out of the picture as to our sniper’s life, both in and out of the SEALs, but we shall let you know if it hits the bulls eye or if it’s wide of the mark. OK, That’s enough shooting related jokes for now. Check out the trailer below! Listen/download/ Stream the episode below or subscribe to our feed in iTunes and never miss all the goodies.